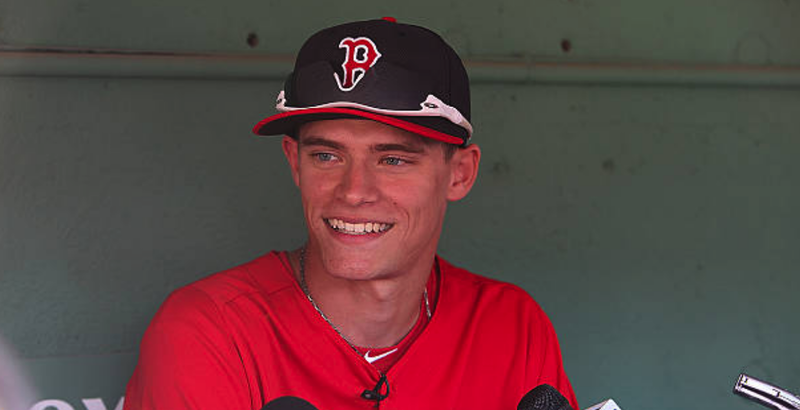 FenwayNation—Red Sox, Mookie, J.D., Bogaerts, Sale, JBJ—Founded 1/27/2000—9-Time Champs: Can Former Red Sox Pitching Prospect Trey Ball "Ankiel" His Way Into MLB? Can Former Red Sox Pitching Prospect Trey Ball "Ankiel" His Way Into MLB? At age 24, Ronald Eugene "Trey" Ball is at a crossroads. When the Red Sox drafted Ball seventh overall in the 2013 MLB Draft, it was to develop the Indiana high-school lefty as a starting pitcher. Over the years, that plan just did not materialize—as the 6'6", 185-pounder registered a 5.02 ERA over six frustrating minor-league seasons. Enter Plan B—"Ankiel" him into a position player. He's only had a handful of at-bats at AA Portland this year—but he did smack a game-winning double for the Sea Dogs. Whether or not Ball can make the very difficult transition from hurler to outfielder remains to be seen. But, at the relatively tender age of 24—and with many scouts seeing potential in his swing—it just might happen. After all, the sport needs a guy named Trey Ball—don't 'ya think?